We’ve been helping people across Georgia, the south, and the nation for over 20 years. Joseph Baldwin is a native of Rome, Georgia. He graduated with a bachelors degree from the University of Georgia and later worked in Washington D.C. performing research for a member of the U.S. House of Representatives. He studied Spanish at the University of Guadalajara in Mexico where he remained for several years assisting less fortunate children learn to speak English as a second language. Mr. Baldwin received his Juris Doctor from Regent University in Virginia where he graduated in the top of his class. He was active in Moot Court and Dispute Resolution and was selected as the graduate assistant to an Immigration Law professor. Serving Rome, Dalton, and individuals around the country for over 20 years. Mr. Baldwin has been in practice for over twenty years, successfully arguing many types of cases. He has experience in criminal jury trials, juvenile court cases, and he has appeared before the Executive Office for Immigration Review on all types of immigration matters. 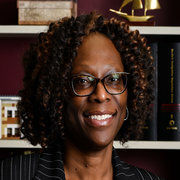 Marie Kabemba-Warren joins The Baldwin Law Firm with over twenty years of legal experience. She is a graduate of the University of Connecticut with a degree in Political Science. She earned her Law degree from University of Buffalo Law School, where she excelled in Moot Court. After graduating, she began her legal career tackling employment and homeless issues for the City of New York for several years. When the warmer climate of the south beckoned, her family relocated to Georgia, where she accepted a position as a public defender and spent 12 years advocating for adults and juveniles charged with felonies and misdemeanors. When she is not working, Mrs. Kabemba-Warren enjoys traveling, playing board games and spending time with family and friends. Brian Johnston was born and raised in Dalton, GA and is very excited to return to his roots in Northwest Georgia. 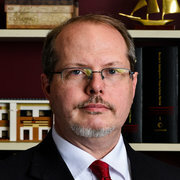 Brian graduated from the University of Georgia Law School in 1999 and has spent the bulk of his career specializing in criminal law. 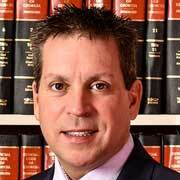 During those years, Brian has served as a prosecutor, public defender as well as time in private practice. Brian has a great deal of trial experience, having tried approximately 200 cases to a jury verdict. His areas of particular specialty include DUI, Domestic Violence, Drug and Traffic charges. In addition to zealously defending his clients, Brian also takes pride in cultivating productive and respectful relationships with opposing counsel. He firmly believes that a client is much better served by an attorney who has garnered the trust and respect of his peers. Prior to attending Law School, Brian graduated from the Henry W. Grady School of Journalism at the University of Georgia and spent 4 years as a television news producer. Brian and his wife are the proud parents of two children.